Cumbria County Council is consulting on its 2015-16 budget, that will be taken to Council in February 2015. The public are being given the opportunity to provide feedback on 13 proposals. 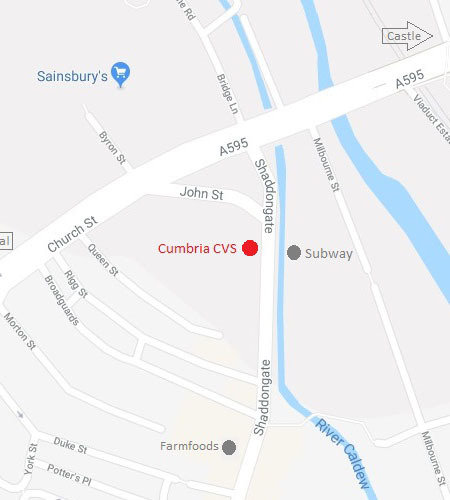 In order to help meet the requirements of the Equality Act (2010), the Council has arranged a disability consultation event, supported by Cumbria CVS. This event will take place on Monday 1 December 2014 at Frenchfields Sports Centre, Carleton, Penrith CA11 8AU from 1.30pm – 3.30pm and is aimed solely at disability organisations and people who use services, with the aim of looking at the proposals from a disability perspective. Community groups working in Allerdale and/or Copeland could apply for up to £500 thanks to the exciting new initiative ‘Community Support in West Cumbria’, which is being administered by Cumbria CVS. To apply for a grant from this programme community groups must be providing services for: adults aged over 65 or vulnerable adults aged under 65; and for people that require services or support to help them remain independent at home. What’s cooking with Community Meals? Cumbria CVS supports the many wonderful people who have kept, and continue to keep Cumbria’s Community Meals Service on the road. Cumbria County Council has recently introduced changes to the way meals are provided to customers – bringing in private providers wherever possible. The process has been a difficult and disruptive one for the volunteers, but the vast majority have stayed involved with what they see as a vital service for some of the most vulnerable people in our community. At our AGM we managed to get the majority of our Trustees to pose for a photo. From left to right: Jo Osborne, Lesley Dixon, Daryl Ormerod, Jennie Sutton, Helen Horne (Vice Chair), David Richardson (Chair), Laura Davies, Paul Cookson (Treasurer), Joan Stocker. Tom Bell and Lalik Nasmyth have recently served their maximum terms of 6 years as Trustees of Cumbria CVS. They were able to join us at our AGM and are pictured here with Board Chair, David Richardson. Patrick Leonard who was unable to be at the AGM has also now stepped down after serving for 6 years. It was great to see so many of you at our recent AGM and Funding Fair. It was an impressive turn-out, and certainly from our point of view it worked extremely well to combine these two very important events. I hope it worked well for all of you – members and other supporters of Cumbria CVS. Hopefully you will have learned something about the work we are doing. I trust you found the presentation on Crowdfunding useful – I know I did! I suspect a very positive outcome of the AGM, as always, will have been the chance to meet up with colleagues from other organisations and swap news and information. At Cumbria CVS are committed to providing opportunities like this because we know they are really valuable in helping to provide some of the ‘glue’ that keeps our sector together and powerful. For those of you whose particular interest was the Funding Fair, I hope it gave you what you wanted and needed, but if you have any ideas for improvement in the future, do please let us know. November 10th – 16th is Trustees’ Week – another significant point in our calendar. It gives us an opportunity to raise the profile of Trustees and the fabulous work they do, and to focus on some of the issues that Trustees have to face in running their organisations. We are all aware of the unprecedented change that’s happening in our sector. We have had years of declining statutory funding, alongside increasingly competitive markets in contracting and a need for many of us to refocus on non-traditional approaches to generating income through assets and trading. All of this makes survival, let alone growth, a difficult proposition. Boards of Trustees must ensure that their members perform effectively and have the skills and experience needed. Trustees should plan ahead for the recruitment, induction and development of new Board Members. All organisations need to consider how they put this into practice. More often than not there is no policy in place to make it happen, so an ad-hoc process of Trustee recruitment happens as and when necessary. In these times of change Trustee Boards must look to the future and identify the strengths, weaknesses, opportunities and threats, in governance terms, to their organisation and make plans to create a Board of Trustees with the appropriate skills, experience and knowledge to guide strategic direction. This does not necessarily mean wholesale change, but a commitment from existing Board Members to making Trustee Succession Planning a priority. This can lead to the development a Board of Trustees that is capable of meeting challenges whenever change occurs. The Trustee Recruitment Toolkit produced by NCVO remains a very useful document to inform your plan http://www.reachskills.org.uk/file/trustee-recruitment-toolkit-pdf-pdf or of course you can get in touch with us here at Cumbria CVS if you would like more support. Do get in touch if we can help. “Towards the end of last year we decided to switch our charity’s accounts to CVS Financial Services. They now do our Annual Report and Financial Statements as well as the manager’s payroll. The service has been better for us as a small charity because it is more personal (Alan has been to visit us to gain an understanding of what we do), more charity orientated and better organised. We are also saving ourselves some money because the charges are not so high. So we are very happy with the service and would certainly recommend it to others”. Cumbria CVS celebrates a year of achievements, despite facing challenges and change verging on frantic….